A program of coloristic extremes lit up San Francisco’s Herbst Theater on Monday, October 3, as the San Francisco Contemporary Music Players inaugurated their new season with three eccentric and occasionally brilliant works. This concert also marked the inauguration of new Artistic Director Steven Schick, whose careful conducting and immersion in the music was a pleasure to watch. After a two-year search, the Contemporary Music Players are delighted with Schick. The fact that he is a world-renowned percussionist, a champion of new music, an educator, and the director of the La Jolla Symphony and the percussion ensemble “redfish bluefish” truly raises the bar. The program’s long title, “in which crisscrossing vectors enliven the ear and oxygenate the sonic space” was a good way to suggest the weight of space in a composition. That sense of space permeated the concert, turning an aural experience into a very painterly sort of canvas. The program began with Transparency by Josh Levine, a solo for bass drum and triangles. Despite its limited palette it sought a wealth of texture. Percussionist Daniel Kennedy, a regular with SFCMP, delivered nuance and shading to his explosive instrument, but the main subject was time. The title, taken from an Octavio Paz poem, “Mortalidad es transparencia” (mortality is transparent), had an ambiguity that suited the sense of dread and waiting. As Kennedy pounded a forceful lub-dub, I was drawn back to hospital rooms and the invasive machine sounds of medicine, a place I reluctantly came to know. It was not surprising to later read that he composed this as his mother declined. 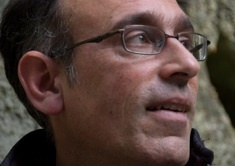 Octandre followed, and one could infer Varèse’s hopes for an industrial salvation. A lonely oboe soliloquy was soon overwritten by sharp dissonances and brass honks, an Italian Futurist celebration of factories and traffic, trade unions and the Common Man. The scoring, for eight woodwinds, brass and a bass, was brightly coloristic, full of seconds and tritones, and at times one could discern the sharp rhythms of Stravinsky’s Rite of Spring. The rest of the evening was a 65-minute experiment in compass-less voyaging, Adams’ journey through a sere landscape. Rather than the brush strokes of Brahms, this was palette knife wielding with abrupt blocks of color. Marimba and violin opened in unison, then the violins climbed half a step, buzzing in dissonance until marimba followed. Two flutes joined very softly, a clouded atmosphere reminiscent of Ligeti’s slow shifting “micro-polyphonies.” The 17-member chamber orchestra allowed for very different pairings, and two colors predominated: golden shimmers of celesta, piano, tubular bells and marimba, and slippery string tremolos brightened with woodwind tone clusters. The colors reversed every few bars, a severe approach to the slow march of intervals. Julie Steinberg, an unprepossessing pianist with iron fingers, hammered out progressions that rose through every variation, and Christopher Froh replied on tubular bells with out-of-sync rejoinders. This was a courageous and difficult work— intriguing but difficult for performers and listeners alike! The SF Contemporary Music Players present their next concert on Monday Nov. 14 at Herbst Theater, featuring chamber works with political underpinnings. As usual, they will also have a lecture/demonstration on the Sunday preceding the concert, Nov 13 at 4:30. That “contemporary insights,” held at ODC Dance Commons on 351 Shotwell, SF, is an excellent opportunity to understand these provocative performers. More information, including tickets, program notes and sound samples is available at www.sfcmp.org. 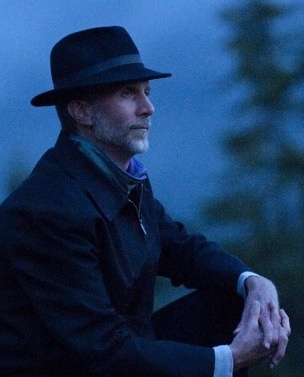 Photo top of composer Josh Levine, bottom, John Luther Adams.